Tennessee military pension rights in divorce include Navy, Army, Marines, Air Force and Coast Guard concerning service members stationed at the Naval Support Facility Mid-South near Millington, Tennessee, Fort Campbell, an army base that straddles the Tennessee and Kentucky border, and their families living in the Memphis, Germantown, Collierville, and Bartlett areas. Military pensions are counted as marital assets rather than income, so they can be divided as property. In order for a nonmilitary ex to receive pension benefits, they must be specifically mentioned in any divorce settlement. If not, the court will consider that the ex has in effect “waived” all rights to them; courts have ruled that if an ex knows of some marital property or benefit but does not stake a claim to it, he or she loses it. Competent legal advice is an absolute necessity to make sure that the spouse does not have to go back to court to request a division of a pension. It will most likely be a tough, uphill struggle to establish that he or she didn’t know about it. Though pension benefits end upon the death of the retired member of the military, the retiree can take out an annuity—a type of insurance policy—that will allow his or her spouse to keep on receiving pension benefits even after the retiree’s death. This will require the retiree to sign up for the Survivor Benefit Plan, and the premium (currently 6.5 percent of the pension payment) for this comes out of his or her monthly payments. A court, if specifically asked, could order the retiree or future retiree to pay such premiums, perhaps reducing spousal support by an equivalent amount but guaranteeing an ex pension benefits. Depending on the servicemembers pay level, military pensions can be a very significant amount, and an ex will get a percentage of that. But the pensions of longtime (10- or 20-plus years) members of the military can make their exes eligible for direct payments from the military and a number of other benefits, including medical and dental care, base privileges, a military ID, and others for him or her and minors. Even if a member of the service spent less than 1o years in the military, an ex could be eligible for a portion of a pension. Considering the length of time that pension could be coming in, it’s well worth looking into. 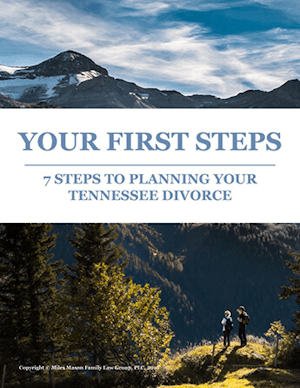 How do you determine how much a pension is worth in Tennessee divorce? The answer to this question is covered fully at Division and Valuation of Pension Interests in Tennessee Divorces. How do I divide a military pension in a Tennessee divorce? 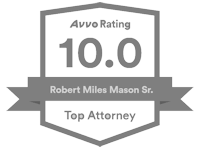 We highly recommend you work with an experienced Tennessee family law attorney to make sure the proper forms and formalities (i.e. court orders) are completed accurately. Some family law attorneys work with pension lawyers to make sure this is done right the first time, protecting both spouses rights. It is not a simple process. For more information, see Dividing a Military Pension in Tennessee Divorce. 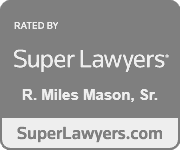 A Memphis divorce lawyer from the Miles Mason Family Law Group can help. To schedule your confidential consultation, call us today at (901) 683-1850.